After a wildly successful first year, the Recycled Wedding Market is back this year in a bigger location! 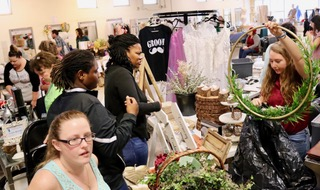 The Recycled Wedding Market is a flea market, of sorts, for all things wedding-related! 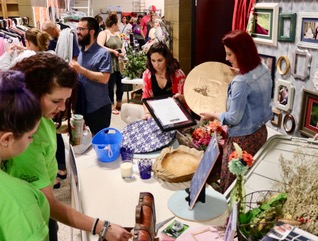 Experience the thrill of the hunt - what could be better than finding wedding decor, tablecloths, vases - and maybe even a wedding dress - all without having to pay retail prices! 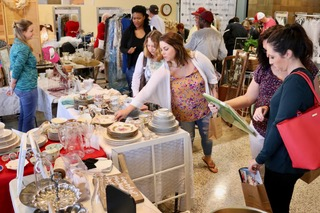 If you are recently engaged, soon-to-be married, or just like putting on a good party, the Recycled Wedding Market is for you! You'll be getting a great deal while reducing the environmental impact of your event! 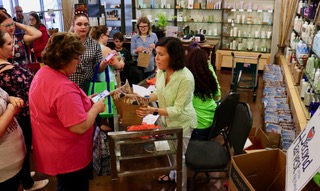 We also have spots for professional wedding vendors and wedding-related artisans who have unique items to sell and who can share their products and services with you - so it's a one-stop wedding planning shop! Tickets are $5 if purchased online before January 15th and $7 if purchased online after January 15th. Online ticket sales close at 5:00 pm on Saturday, February 23rd. Tickets may also be purchased at the door for $7 (plus two cans of food for Second Harvest) or $10 with no cans. Cash only at the door. **A limited number of Early Bird tickets are available for those who want to get first dibs on the best treasures! 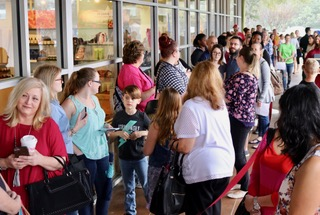 Early Bird ticket holders will get early access at 1:00 pm - a full hour before the market opens for general admission. Early Bird tickets can be purchased online only for $25 each. Limited to 100 Early Bird tickets. Recently married and looking to put some money back in your pocket? 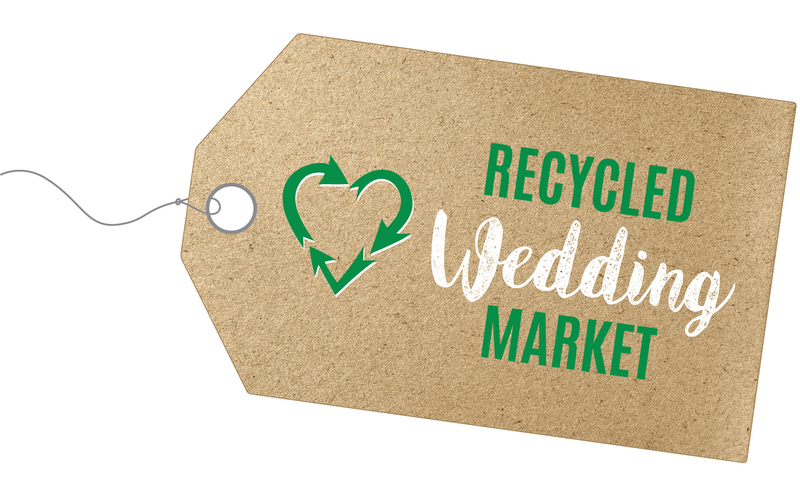 Help newly-engaged couples achieve the wedding of their dreams by selling your items at the Recycled Wedding Market! Reserve a table here; then you price and sell your items - and keep 100% of the profit. Tables are $20 if reserved before January 15th and $30 if reserved after January 15th. Table reservations will be taken until sold out or until February 15, 2019. No reservations will be taken after that date. Each table reservation includes one 6-foot table and two chairs. Are you a professional vendor (wedding planner, photographer, baker, DJ, florist, etc.) 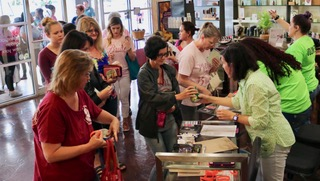 that would like to exhibit your products and services at the Recycled Wedding Market? 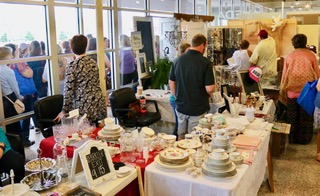 Last year's market hosted over 400 attendees! Tables are $75 if your application is received by January 15, 2019, and $100 if received after that date. Table reservations will be taken until sold out or until February 15, 2019. 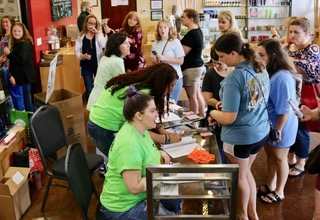 The Recycled Wedding Market is provided as a joint effort by Sustainable Tallahassee, Abernathy Entertainment, Northwest Florida Weddings Magazine, and Chop Barbershop - all of whom are committed to reducing the environmental impact of Tallahassee weddings. 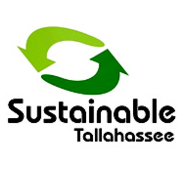 The event is a fundraiser for Sustainable Tallahassee, which will receive all proceeds from the event.